THE PERCEPTION TRAP - The Rough Notes Company Inc. It won’t come as a surprise that consumers don’t value you as they do a physician, attorney, or accountant. It’s a shame, because your work deserves appreciation. This article will explore the perception issue and explain why terms like producer, bid, and quote don’t help our cause. These words indicate that your primary role is to deliver products and price. Do you share my concern? Are you frustrated with the misperception of your true value? Do you believe that your professional mission is to help your clients deal with risks and uncertainties? And that insurance is only one of many arrows in your quiver? By first asking WHY, you’ll find compelling evidence of how much more you can achieve—personally and professionally. I explained that I don’t sell anything. Rather I use a four-step diagnostic process to empower my clients to identify, prioritize, measure, and mitigate risk. And risk transfer (e.g., insurance) is simply one of numerous techniques used in my process. As he continued to back away, he mumbled, “You sound like a financial planner … they are all disguised insurance salesmen.” The conversation ended. I was swallowed up in the perception trap. The lock and key of the perception trap are housed in the consumer’s mind. This trap is based on the consumer’s past experiences—his or her preconceived ideas of the value of your offerings. The perception trap alters what the consumer sees. When people view something with a preconceived notion, they link it with prior experiences. Their knowledge does not allow them to open their eyes to the value of your products, services, or solutions. When concepts are viewed without understanding, the mind reaches for something it already recognizes: a baseline of understanding from which opinions are formed. 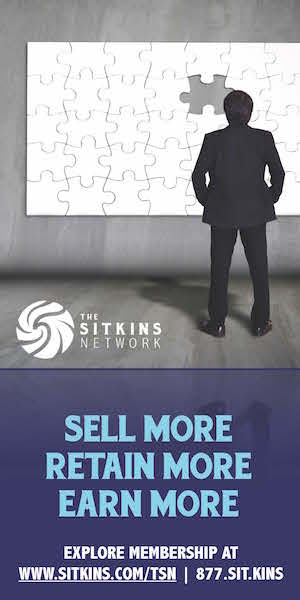 By definition, a producer is an “insurance agent or broker who is licensed to solicit, negotiate, or sell financial products including, but not limited to, property and casualty insurance, health insurance, disability insurance, and long-term care insurance.” A bid or quote represents the price tag placed on the insurance transaction. Would you agree that these terms and corresponding definitions represent only a slice of your value proposition? The terms do not reflect your knowledge and tactics that support risk identification, prioritization, measurement, mitigation, or monitoring. They do not respond to the effort and professionalism linked to service plans, claims advocacy, or stewardship reviews. They do not speak to your consultative and diagnostic talents. And most important, they do not enable the consumer to fully appreciate the fact that you are a Trusted Risk Advisor™—a risk consultant who has a cause far beyond the common perception of the producer! Simon Sinek, motivational speaker and marketing consultant, has made the foundation of his work the examination of “why”—the exploration of who you are and what inspires you to act. As explained in my November 2017 Rough Notes article, “Start with WHY,” the Golden Circle finds order and predictability in human behavior. It helps you understand why you do what you do. By first asking WHY, you’ll find compelling evidence of how much more you can achieve—personally and professionally. So, how do we define your WHY? WHY is your cause, purpose, or belief. It is the essence of your professional existence. It is the reason you get out of bed every morning. Today’s consumers want and need to know WHY. WHY you? WHY do you do what you do? It is a given that your customers know what and how you do what you do. That being said, it is your values and beliefs, not just the quality of your products and services, that create deep, long-lasting connections. 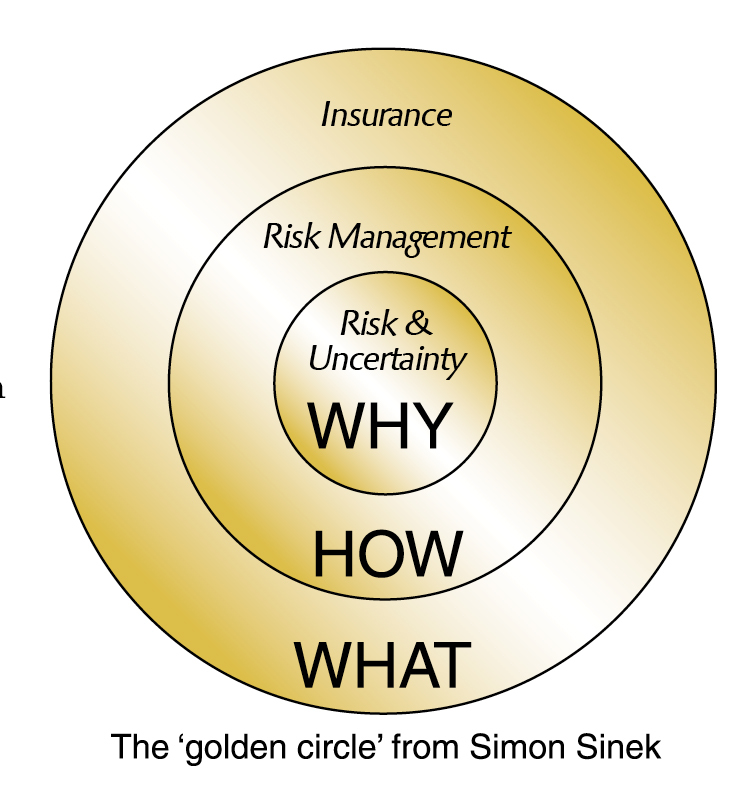 Foundational to identifying your WHY is a clear understanding of these four terms: uncertainty, risk, risk management, and insurance. Uncertainty is a state of being unsure that causes doubt, apprehension, and fear. Risk is the exposure of someone or something of value to danger, harm, or loss. Risk management is the process of managing doubt, apprehension, fear, danger, harm, or loss. And Insurance is simply the transfer of uncertainties and risk to a third party. Your WHY is risk and uncertainty supported by HOW … a process to deal with them strategically. 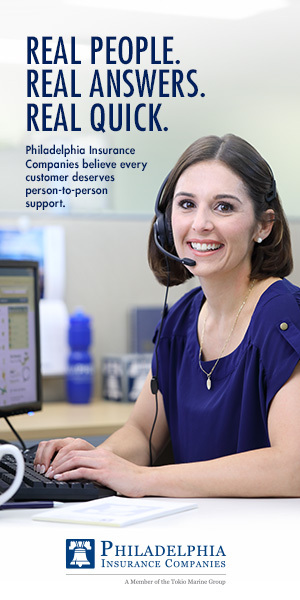 What, then, is the insurance transaction? It is simply WHAT you do—the product, service, or function. As you discover your WHY, you will gain enhanced clarity, purpose, and passion. And you will notice that your clients, prospects, and centers of influence react differently to you. Why? Because you are inspiring them. Start with WHY—your purpose for existence! Risk: As mentioned above, risk is defined as “someone or something of value that is exposed to danger, harm, or loss.” Synonyms include endanger, imperil, and jeopardize. Helping your clients identify, measure, and manage risk is a meaningful calling—a profession as important as that of a physician, accountant, or attorney. Risk management: Risk management is the identification, assessment, and prioritization of risks followed by acoordinated application of resources tominimize, monitor, and control the prob-ability or impact of unfortunate events or to maximize the realization of opportunities. The primary objective of risk management is to ensure that uncertainty does not derail the business endeavor or family from achieving its goals. Because risk encompasses the possibility that something bad or unpleasant will happen, it is essential that you deliver a systematic means to manage it. Every day you guide your prospect or client through four primary means of dealing with risk: (1) avoid, (2) reduce, (3) transfer, (4) retain. These strategies are illustrated in the Risk Decision Matrix chart (see next page). As a standard practice, high-impact, high-probability risks should be avoided. High-impact, low-probability risks are transferred (e.g., insurance). High-probability, low-impact risks are reduced. 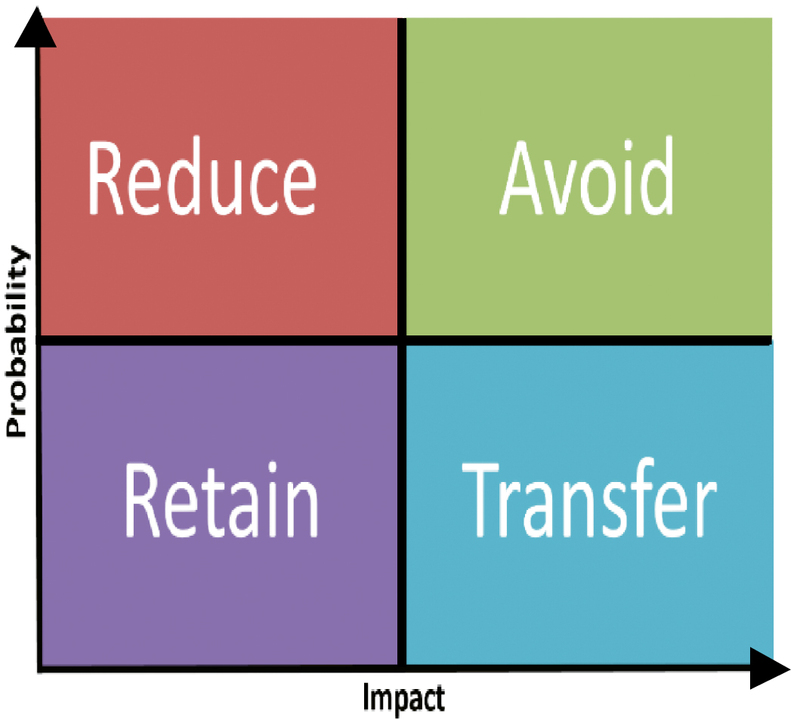 Low-impact, low-probability risks are accepted or retained. In general, as the chart illustrates, there are two ways of dealing with risk. The Risk Decision Matrix flies in the face of the term “producer” and de-emphasizes the words “bid” and “quote.” Why? Because these terms are not who you are. You are a Trusted Risk Advisor. 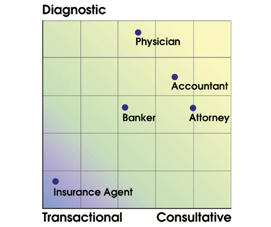 Becoming a risk advisor requires consultative and diagnostic attributes—a solutions-based approach focused on understanding your customer’s issues and delivering appropriate products, services, and solutions. The insurance industry perception issue can be significantly improved as you adopt terminology that more accurately reflects the essence of your existence. Say goodbye to producer, bid, and quote. Look in the mirror and welcome the Trusted Risk Advisor, that special person who understands his or her WHY.